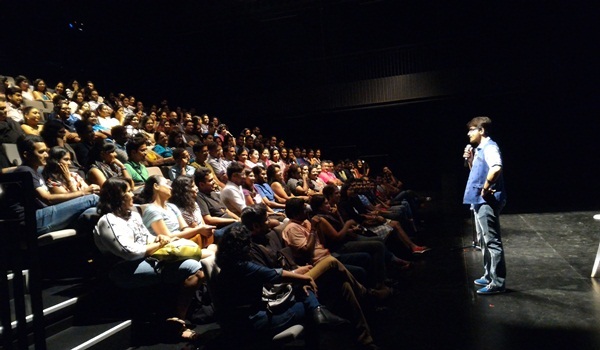 Karthik Kumara��s second solo show celebrates middle class life, with his own tales thrown in. Would you believe us when we say that the genesis of a stand-up comedy show can also come from a natural calamity? Before you cry foul, let us inform you that Karthik Kumara��s next is not making fun of the Chennai floods. Instead, the ace comedian is going to celebrate the heroism of middle class people in general, an example of which we saw during the inundation last December. a�?I was really moved with the way they rebuilt their lives again from scratch,a�? says Kumar. It is this heroism that inspired him to go down memory lane while writing the content for Second Decoction, his newest special, even as he was touring the country earlier this year for his first solo series, Poke Me. Second Decoction sees Kumar relive his own middle class experiences, mostly from his college days. It debuted in the country with a performance in Mumbai, followed by its international debut in Singapore earlier this month. a�?Writing content for SecondA�A�A�A�A�A�A� Decoction was not easy. Compared to Poke Me, which touched upon generic subjects, this one is more about myself and my own experiences of being part of the middle class. ForA� example, taking Xerox copies of engineering notes from toppers in college and other such jugaad,a�? he laughs. Why this name though? a�?In Tamil households, the first decoction of the filter coffee is reserved for the breadwinner, the second is for the mother who prepares it and the third is for the maid. The name of the show depicts the attitude of the middle class to be content with staying middle class while at the same time being slightly discontented for the same,a�? he explains. It took Kumar around 900 minutes of open mic sessions to perfect the final script of Second Decoction, we learn. a�?I did these sessions in cities like Bangalore and Chennai (Cafe Home Pitch was one of the venues). Thanks to these I was able to filter out the portions that generated less laughs and stick to the best,a�? he shares. And if youA� thoughtA� his humour is only suited to millenials, think again. Those who attended the first day of his show in Singapore brought their parents along with them on the second day. a�?They wanted their parents to get a taste of the nostalgia too,a�? he smiles.